With Spring Break and the Easter and Passover holidays in our review mirrors, it's time to get organized for Spring. Longer (and I desperately hope warmer) days are coming. Spring sports are kicking into gear and our desire to get outside will overtake that winter hibernating habit. As the weather gets warmer, I toss aside my casserole and comfort food recipes in favor of some lighter menu ideas, using seasonal and lighter foods. This year, since both John and I are looking to shed a few winter pounds, I'm planning to incorporate more "salads" - which may simply turn into some lean grilled meat over seasonal greens, tossed with some quinoa. While I love simple meals like that, I struggle with a "sauce" or dressing idea . . .what are some of your favorites?? 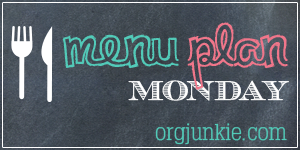 This post is linked up at I'm An Organizing Junkie. 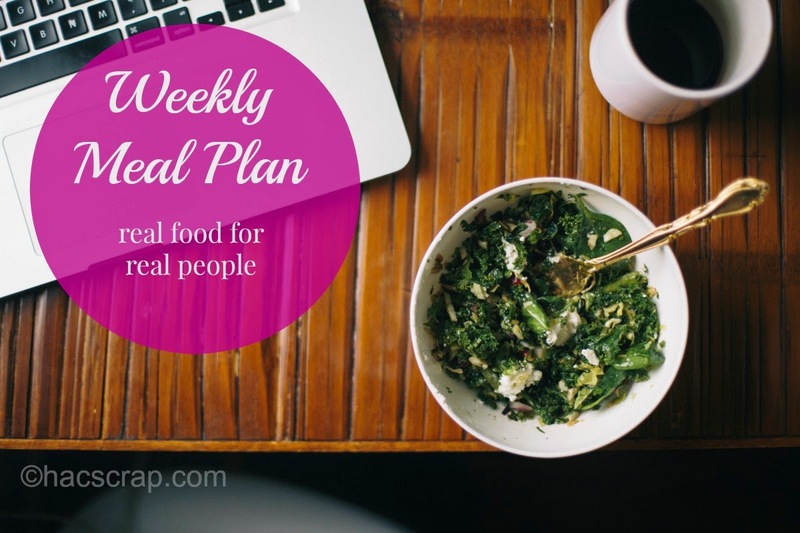 Be sure to check it out for even more ideas and inspiration for your weekly meal planning. I need to create a meal plan. I feel so disorganized.